Meanwhile Kiwi FC have left their best to last, thrashing their Tongan rivals Lotoha’apai United FC in their quest to become the 16th and final team to be included in the next phase of the 2019 OFC Champions League as Qualifying Stage runners-up. Sensing the vulnerability of the shell-shocked Tongans, Kiwi FC went for the jugular led by Paul Scanlan who was on target twice again, including a spectacular 43rd minute drive that cleared the cobwebs from the top left corner, as he completed an impressive hat-trick while helping his side to 5-nil half time score. However, that failed to halt the Kiwi FC juggernaut and Paul Scanlan soon restored normal service by tapping in for his fourth before Kitiona Nauer added his name to the score sheet and Lotial Mano grabbed a brace to cap the 9-1 rout in injury time. “I’m so proud of the boys and the result. Paul Scanlan’s four goal heroics also received a special mention from the Kiwi FC coach. Looking forward to the next phase, Matasese insists his side will be ready to make Samoa proud at the biggest stage for club football in the Pacific. 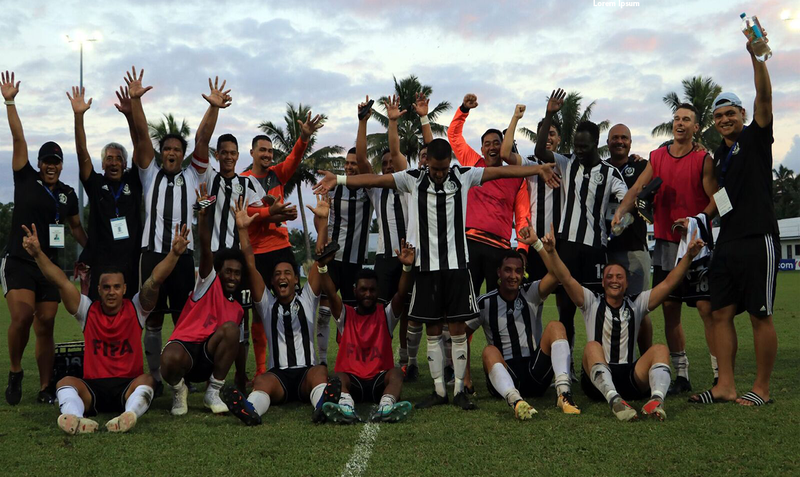 Those who though the final match of the Qualifying Stage between Tupapa Maraerenga FC and Pago Youth will turn into a dead rubber without intensity were proved to be mistaken after the two sides have produced a thoroughly passionate, entertaining and closely contested encounter. Despite winless following the opening two rounds, American Samoan representatives Pago Youth have insisted they had what it takes to upset the hosts and they came within a whisker from pulling off a major upset. Very little separated the two sides for the remainder of the match with chances at both ends before Tupapa’s class came to the fore to clinch all three points with a late, 89th minute winner from Harlem Simiona. “They certainly bought the passion, you could hear in their chant before the game, and they made it so hard for us, and at the end of the day we were our own worse enemies because we knew what they were going to do and we didn’t deal with it in the first half, eventually it came in the second half, so we are happy to take the win.” Yaqona explained.